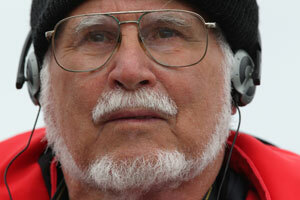 My experience as a wildlife sound recordist extends over 40 years. I first became interested in wildlife sounds when conducting a bird census in Holland in 1964. Subsequently, I conducted a census on the Tawny Owl Strix aluco using call-up techniques to determine the number of pairs occupying a territory and to determine the ratio of males versus females. My first bird recordings date back to 1970, when I started experimenting with microphones and home-made parabolas. Although I do use a parabola, my preferred option for recording bird sounds are the Sennheiser shotgun microphones, which I use with a variety of sound recording devices, e.g. Minidisc MDP 500, Sony TC-D5M and Sound Devices 702. In the early 1970’s I was also instrumental, as a foundation member and first president, in the formation of the Hunter Bird Observers Club (HBOC), Australia. While living in Newcastle (1969-1983) I also lectured ornithology with the University of Newcastle – Community Programmes, the WEA Newcastle and Wollongong. I have published widely in various ornithological journals and magazines and have also published various CD’s on bird vocalizations. In the early days not much was known in Australia about the avian vocalisations and I became actively involved in the study and recording of Australian wildlife. That involvement resulted in the formation of the Australian Wildlife Sound Recording Group (AWSRG) of which I’m a foundation member and presently also hold the office of president and editor of the magazine AudioWings. At present my sound library contains well over 27 000 cuts of birds, animals and insects, however, the main body contains bird song and calls from many parts of the world, including Australia, New Zealand & sub-antarctic islands, Holland, Galapagos the Amazon and South Korea. Over 570 species of Australian birds are represented in the collection.